As part of George Osborne’s budget statement today he made some comments about mathematics education. 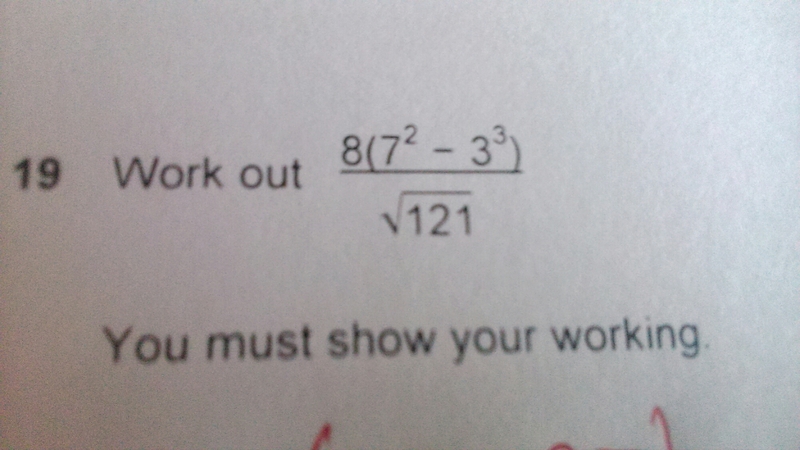 He said that they would look into teaching mathematics to 18 for all pupils. This has caused a lot of discussion on twitter and the treasury have since clarified that by “looking into teaching mathematics to 18 for all” he actually meant “look to improve a level teaching” – why he didn’t just say that is beyond me…. The bigger debate that seems to have opened is whether mathematics should be taught to all. There seems to be people in both camps on this one, and it’s something I’ve thought about many times. Some of the arguments for it that I read suggest that for non a level students this would be a great time to learn about the life skills. I would argue that that’s not actually mathematics, it’s more numeracy. And I’ve often thought that they should be taught as distinctly different subjects, with numeracy a core subject and mathematics one that is chosen as an option from KS4 onwards. I sometimes think this would be a great idea, strip back the core curriculum entirely to just numeracy, literacy and citizenship, leaving a wide range of options and a lot of time in the timetable to build truly bespoke schooling. Students could study academic or vocational qualifications and perhaps we could get both right. However I realise this would be a logistical nightmare, and I worry massively that 14 year olds would be picking things that defined the rest of their life, so the other part of me thinks actually we should be prescribing a broad curriculum giving everyone a fair grounding and allow them to choose at 18 what to specialise in. But what about in our current situation? Given the situation we have at pre 16, I started to think about the idea of compulsory maths to 18. 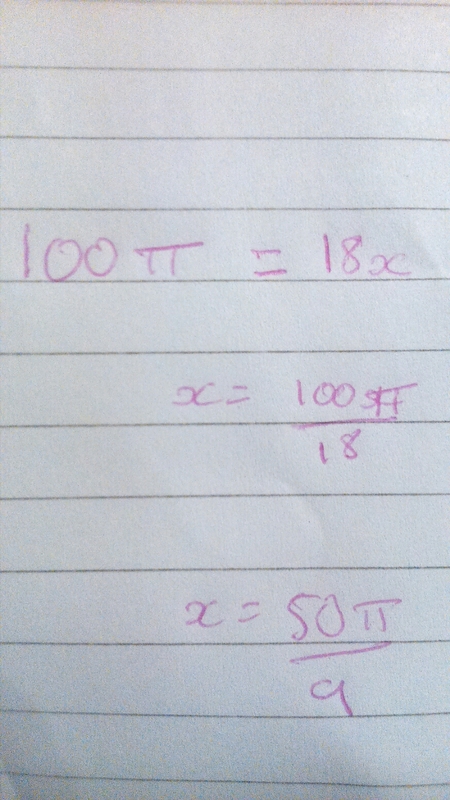 Clearly making A level maths compulsory won’t work. 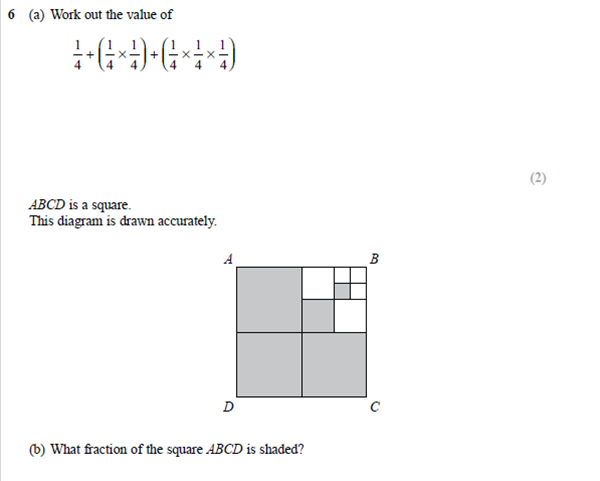 I’m told that around 50 % of those who attempt it with a grade B fail in Y12, that’s a massive amount of students we would be setting up to fail, and that’s not counting the A grade students who can’t handle the step up or the C grade students who wouldn’t have a strong enough grounding in algebra to succeed. I’ve been teaching this as part of the early adopters programme and I am quite impressed by the qualification. 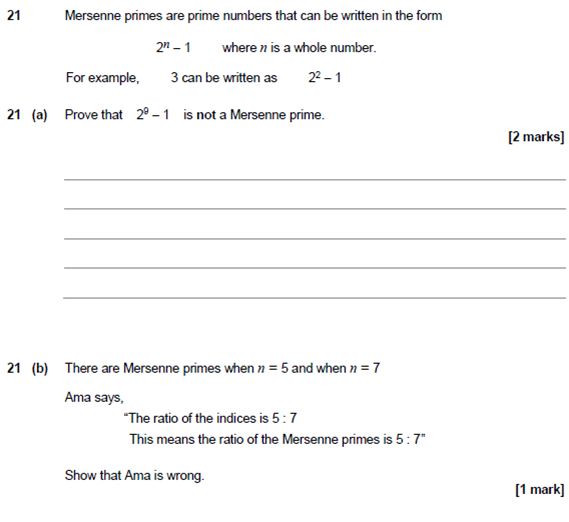 We do the AQA version and I’ve found the specification has enough stuff that fits the “life skills” heading to cover that aim of it while also having some more mathematical elements. The optional papers give the option of creating a course that fits the needs of each student best, and I’m looking forward to continuing teaching it and seeing it develop. But should it be compulsory? Again, I’m torn on this, I can see that the life skills bits would be good for anyone to learn. On top of that the other bits offer help with a vast range of other subjects and future job roles and help build logical thought, all of which I feel would be a good argument for making it compulsory. But it eats into the time they could be spending working on the things that are really important to them and the qualifications that they directly need to move to the next stage of their lives plan. One thing I find ill thought out about the qualification is the 2.5 hours a week for 2 years suggestion. The idea was that it was to ease the burden and to spread it out, however I found that students were disengaged around exam time as it was the only subject they weren’t examined in. We also lost a lot of candidates after year 1 as they secured apprenticeships and basically had a years working without any sort of credit. We think going forward that it is better suited as a 1 year 5 hours a week course, perhaps students could do core maths in Y12 followed by EPQ in Y13? This would mean, however that the objective of keeping students in maths education to 18 was no longer being met. I certainly agree with the compulsory resitting of GCSEs up to 18, although the previous comments around Maths and numeracy are certainly highlighted in this issue too. As you can probably tell, I have conflicting views on a lot of this, and I’m still trying to.make sense of them. I’d love to hear your views on this. 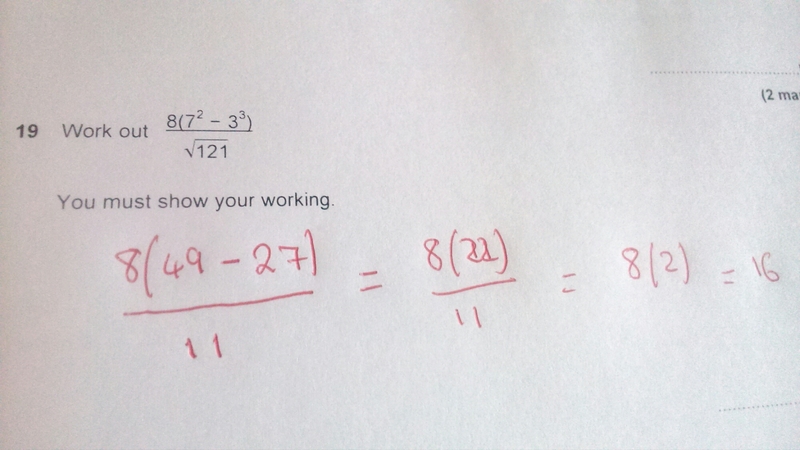 Do you thing all students should have to do maths to 18? 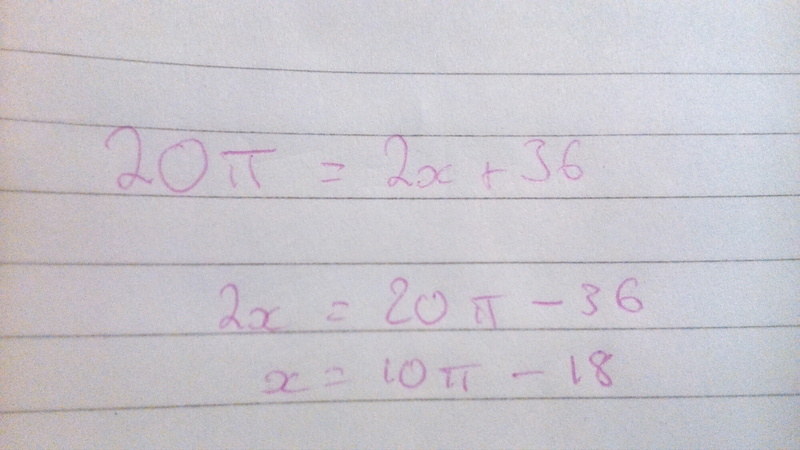 Do you think they even need to do it to 16 or should we split maths and numeracy? What are your views on the idea of a stripped bare curriculum where students build their own? Would you have the same 3 core subjects as me, or different ones? Or would you prefer my other idea of a broader curriculum where students are a bit older by the time they need to make those massive decisions? Please let me know in the comments, via social media or email. In reality, as it is, it’s plugging numbers into a calculator and rounding, giving a non exact answer, a grrrr moment and a missed opportunity! All that confusion and a brilliant simple answer. 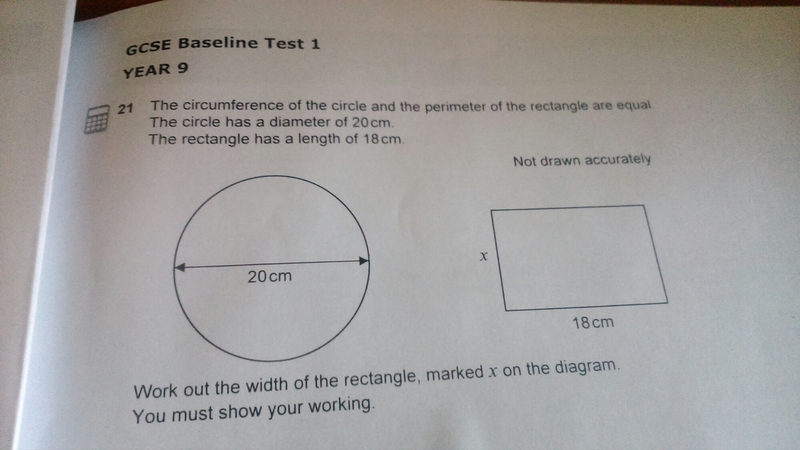 Have you any favourite questions from these baseline tests? Any favourite resources for the new GCSEs? I’d love to hear them. Did they meet their targets? They were going to “Improve standards for all”, “Close the attainment gap”, “Enhance the prestige and quality of the teaching profession”, “Give heads and teachers tough new powers of discipline,” “restore rigour to the curriculum and exam system,” and “give every parent access to a good school”. This is a noble aim, and one I hope all politicians have at their core. I certainly think the tories were trying to improve standards. This is fairly unmeasurable though. They cut money for school buildings, which means some schools are housed in less than brilliant accommodation, but some schools were improved. Let’s hope we all, in the education sector, have been, and continue to, improving standards fore all. In 2010 the reported attainment gap was 27.5% in 2014 it was 26.6%, this is certainly a drop. A drop which one would assume owes at least some thanks to the Lib Dems pupil premium payment. It is great that the gap has dropped, although it is still far too high. And the measure itself is crude, as it’s based on FSM which is self nominated and misses a large amount of the most deprived in our communities. This is a great aim, the highest performing school systems have prestigious status for teachers. It is unclear, however, why Michael Gove thought an all out war with the teaching unions in which he repeatedly demonised teachers was the best way to do this. The constant teacher bashing and dismissing opposing views to his own was certainly not a way to achieve an enhanced status for the profession, quite the opposite in fact. Teach first (love it or hate it) has certainly brought in more top end graduates, and as one of the largest graduate recruiters it would seem that at least with final year students some prestige has increased. Although that’s certainly not something the government can take credit for as it’s a charity and existed before they came to power. Their manifesto included the idea to expand it to “Teach Now” and “Troops to teachers” neither of which I’ve heard much about since? This one was mainly lip service I think, and hasn’t really impacted anything. Legally schools can now keep pupils for detention for up to two hours without prior notice, but I don’t know any schools that have moved away from a policy of informing parents. There was also the “reasonable force” measure, that was pretty much exactly the same as the law it replaced. This one remains to be seen. I’m certainly in favour of the new maths curriculum, all the way from KS1-5, it certainly has more rigour, although I’d personally have liked even more (ie calculus on the GCSE, you can read more of my views here). I’ve not really looked in depth at the other subjects, I don’t have enough knowledge to discuss them – I’d love to hear your views if you have any in the new curricula in your subject. The exam reforms are another matter, we won’t know whether they are an improvement until they start, they have a lot of potential but it certainly seems to be a little rushed. The new maths GCSE is due to be examined in 2017, the course contains more content and as such it will take more than two years to cover, yet we have no sample assessment materials as yet to base a decision on which exam board to choose. That said I do think it will be an improvement, I just wish it had been thought out and introduced better and more quickly. Like the others, a very noble aim, and one which we should be applauded. However, the decision to allow Free Schools to be built where people fancied, rather than building schools where there were a shortage of places, has led to some areas still having a shortage of school places and some having a surplus. This means that some parents struggle to access any school, never mind a good one. The investment in new schools had been evident, but it’s been too often in the wrong place. So, they have closed the gap, and they have increased rigour in the curriculum. They haven’t improved the prestige of the profession, they’ve failed to build schools in the correct places and they’ve not increased power to discipline. Some hits, some misses. 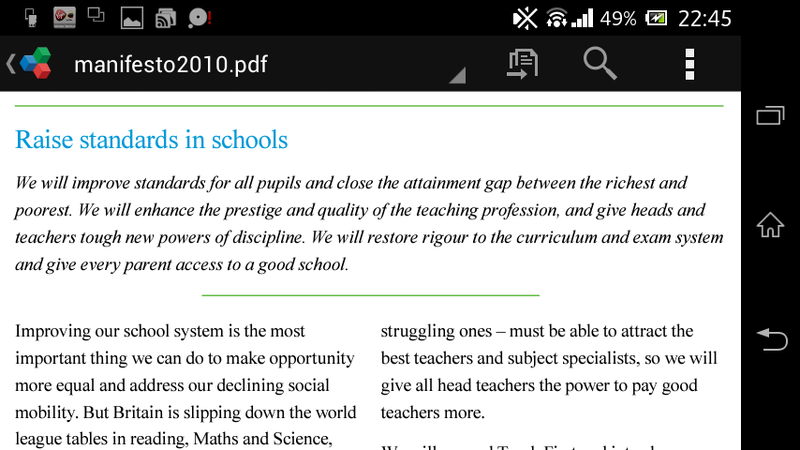 They did, of course, have other education policies over their tenure (I discussed some here) but these are the ones mentioned in their 2010 manifesto. This time last year I wrote this post reviewing 2013 and looking to 2014. In the summer I looked again at it here, and discussed my year so far. Now, as the year draws to a close and I am reading all these #Nurture1415 posts it feels like a good time to reflect again. I’ve had a good 2014, I’ve spent some great time with my family, watched my daughter grow from a baby/toddler into a real little person and seen a lot of other family. I’ve continued to work on my masters, and to write this blog. Both of which have helped me improve as,a teacher, and both of which have been enjoyable. 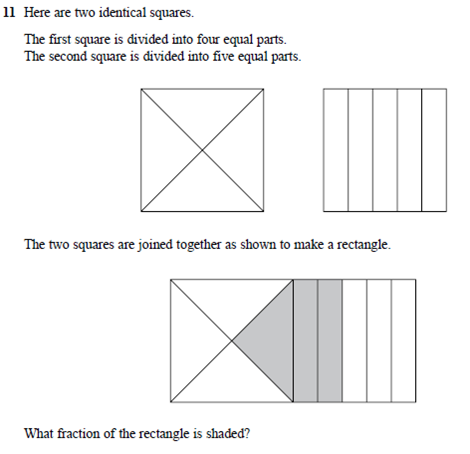 There has been a higher proportion of maths puzzles finding there way onto the blog this year. This hasn’t been a conscious decision, but I have really enjoyed working on them. I’ve managed to read a few more maths books, and I have managed to get deeper into topology, as I had hoped to this year. I’ve also delved deeper into group theory, another old favourite of mine, and I particularly enjoyed exploring the tests of divisibility. When I wrote the post last year, I thought I’d be in the job I was in for a long time to come. In reality I’d decided to move on and found another job by the end of February (I think). This was a massive change. I moved jobs, schools and authorities and there were some real challenges. I had a full set of new classes to build relationships with, and a full set of new colleagues to get to know. The new school is similar on many levels to the old one, but it is also infinitely different too. I feel I’ve joined a great team, and that I’ve already made some great friends amongst my colleagues. I feel that with most classes I’ve built up decent relationships and am making progress, and I feel I’m getting to grips with the new role. I’ve been on some great CPD events this year. I’m on a Teaching Leaders course, I attended ResearchEd York, Northern Rocks, Maths Conference 2014 and teachmeets (I even presented at one!) The key messages for me is challenge everything, don’t just accept anything, ensure there’s something to back it up, and even then don’t just assumed it will work in all contexts. 2014 will forever be remembered for that day in July when the news that Gove had gone shocked the nation. I wrote about my feelings at the time and you can read them here. I can’t say I’ve seen much difference in policy since he left, and I feel the move was made purely to detoxify the brand in the run up to the election. It was also the year we got to see the draft maths A Level curriculum, which looks good, but not radically different, and the approved specifications for the new maths GCSE. 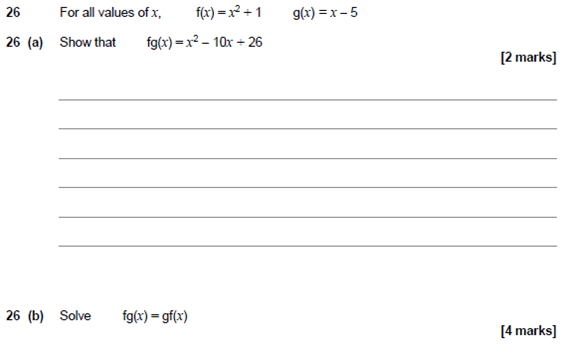 I’m excited about the new GCSE as I think it addresses many if the short comings that the current one has, although I’d have liked to see calculus and Heron’s Formula make an appearance. The Sutton Trust released a report in 2014 entitled ‘what makes great teaching”, it was my favourite type if report, one that backs up the things I thought with plenty of evidence. The crux of its finding being “great teaching is that which leads to great progress“. You can download the report in full here free of charge. 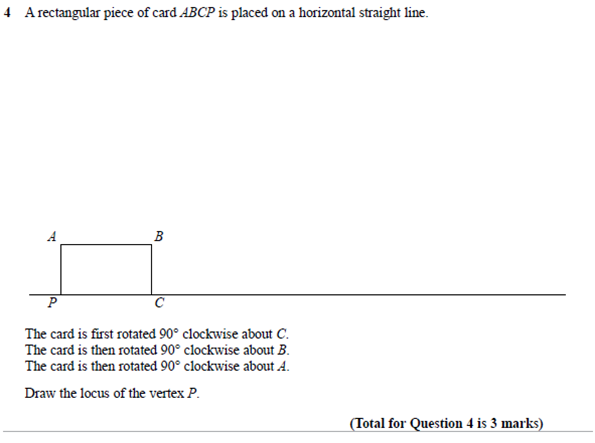 It also saw the first teaching of the new “Core Maths” suite of post 16 qualifications. We are a pilot school, and I’m quite excited by the prospect, although it’s not been without teething problems so far. Last year I hoped that the new curriculum would increase the rigour of the maths being taught and that it helps prepare learners for A Level. I still hope this, although I realise now it is a longer term hope. As is the hope that the new GCSE system will eliminate the threshold pass and the gaming we have seen with early entry and other such things. And I think it’s too early to tell if the new routes into teaching can bring down the high turnover we experience. I still hope that the inherent inequalities present in the UK education system, and wider society, can be addressed. I hope to find more time to spend with my family, to read and investigate further areas of maths this year. I hope to continue to improve my practice and to get better at my job. 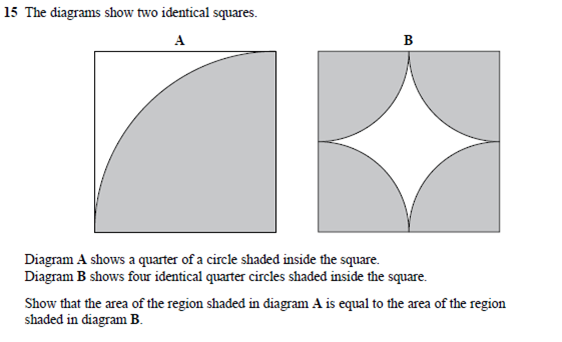 I hope to see an end to the ridiculous pseudo-context “real life” problems we often see in exams. And I hope to make a real difference to the learners I’m in front of in 2015, to increase their maths knowledge and skill but also their respect for, and love of, mathematics. A number of my Y13 learners have applied for maths degree courses, and I hope they enjoy them. The new maths GCSEs have been approved, and schools now face the prospect of selecting which board they are going to go for from next year. A few weeks ago I attended an exam board briefing which included presentations from the three main boards. Today I’ve been working on a presentation to share what I’d learned there with the department and I thought I’d share a few thoughts, and a few of the questions from the sample assessment materials, here. Obviously, all three boards are constrained by the curriculum set out by the government, if you’re still unfamiliar with the new curriculum (get your act together!) there’s a lovely summary here and you can download it here. They had the option to add extra stuff in, but according to the presentations none of them have. 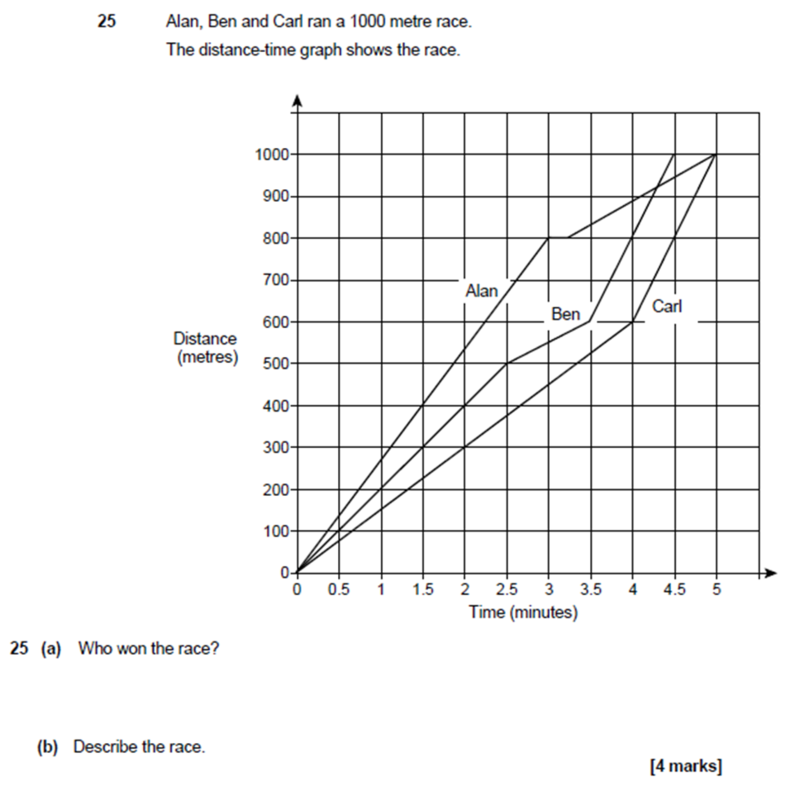 Although stem and leaf diagrams have been removed from the national curriculum but still appear on the Edexcel sample materials. 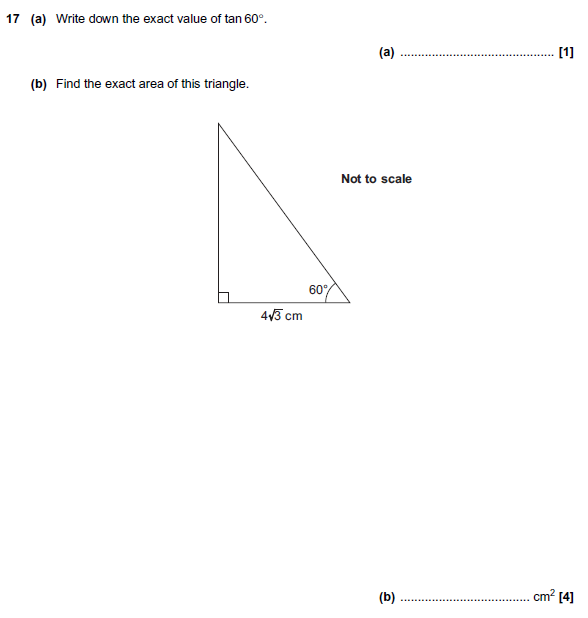 The exam papers have to run for a total of 4.5 hours, with at least half being calculator assessed. These three have all gone for three 1.5 hour papers, with one non-calculator. I believe the Welsh board have gone for two 2.25 hour papers, one of each. 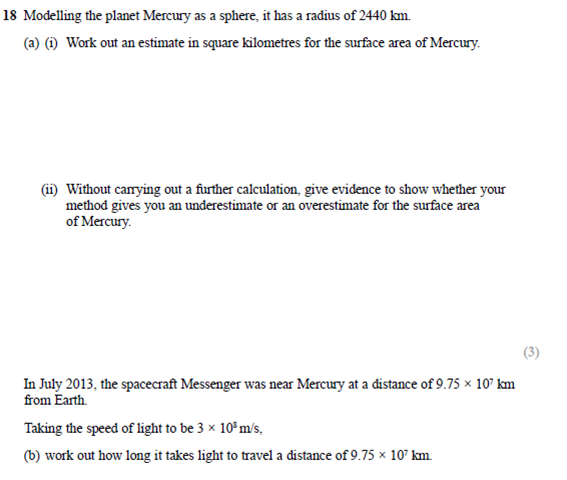 I think the three paper option is sensible, although I would have preferred them to have two non-calculator exams. Edexcel and AQA have assigned 80 marks per paper, where as OCR have assigned 100. The make up of the tiers will be different, the new 4 will be equal to the old C and the new 7 the old A. That is to say the bottom of each will be the same. Foundation will test 1-5, with 50% coming from 1-3 and 50% coming from 4&5. Likewise, higher will be 4-9 with 50% 4-6 and the rest 7+. The gradings at the top will be slightly different, with the top ten percent getting 9 and the rest being split between 7 and 8. I’m not sure I agree with this. One year a 7 and a 9 maybe a couple of marks different, and one year they may be a ton. It’s a weird hybrid of curve grading and criteria grading and it will potentially confuse folk. As far as the support goes, I think any of the exam boards would be a great call. All offer things that are exceptionally good. 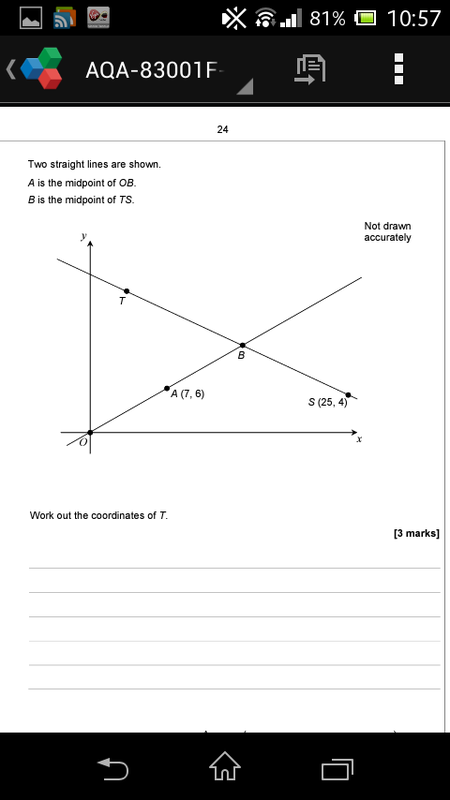 AQAs free interactive route maps and all that comes with them are a massive selling point, Edexcel’s free results plus service is phenomenal and OCR are offering a free mock exam service which in the first instance negates the lack of past papers and going forward offers a fresh mock paper so pupils haven’t seen then before. 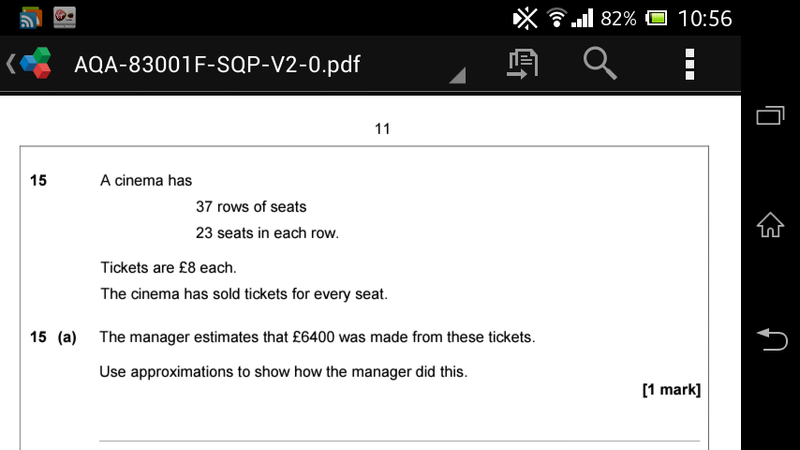 On top of this they all offer an exam paper builder, although OCR charge for this. So how can we choose? Given that up until now all three boards seem to be pretty equal, I guess the final choice will cone down to the sample assessment materials. It is here where we see a major difference, particularly in the foundation paper. 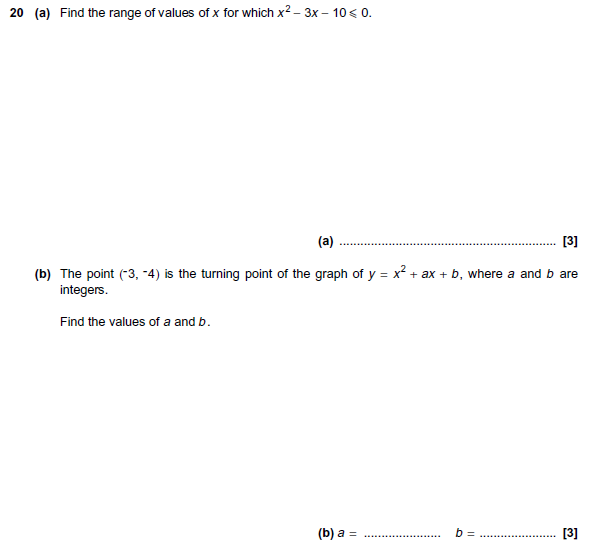 All 6 questions appear on Edexcel foundation SAMs. 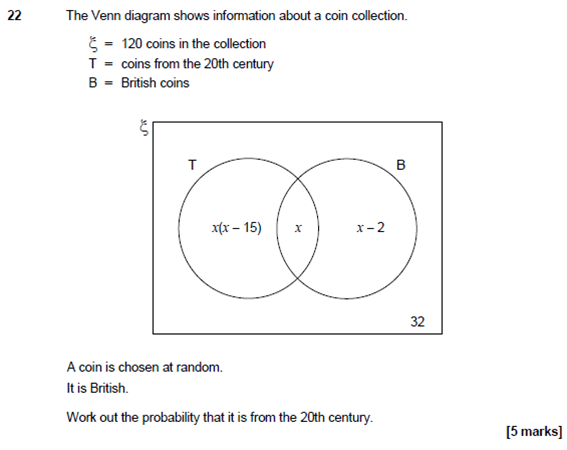 All 3 taken from AQA Foundation SAMs. 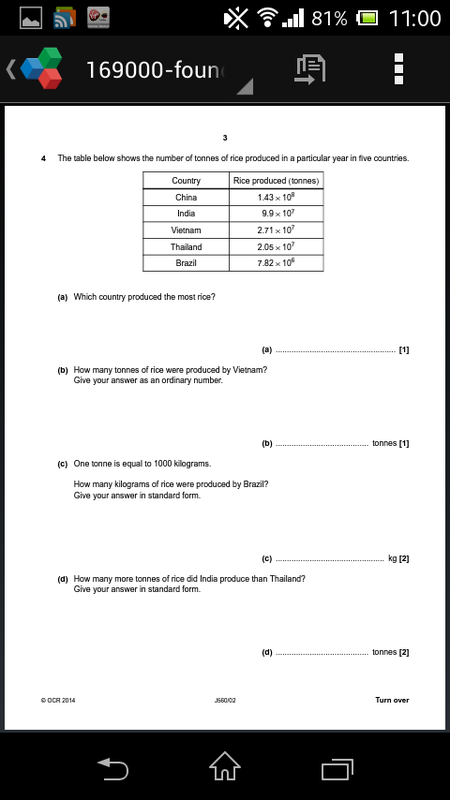 I think I prefer the AQA FN papers at the moment, but I’m still looking at them. What about the higher papers? The higher papers are, for me, all superb. I like the fact the content is much tougher, and I feel all three boards have done a great job putting the higher tier papers together. We will need to ensure all members of staff in our departments are secure in their pedagogical subject knowledge of the new curriculum, as there are some tricky topics that haven’t previously been taught until A – Level. All these questions are, in my opinion, excellent. They are challenging and require a good amount of mathematical thinking. On the whole, I’d be happy sitting my learners any of the higher papers, so I think the decision will probably come down to the foundation papers. I’m excited by the new curriculum, and I’m now excited by the sample assessments. I can’t wait to get into the teaching of it! I also can’t wait for the exam boards to release the new A Level specs and sample assessments!